« Will We Never Learn? 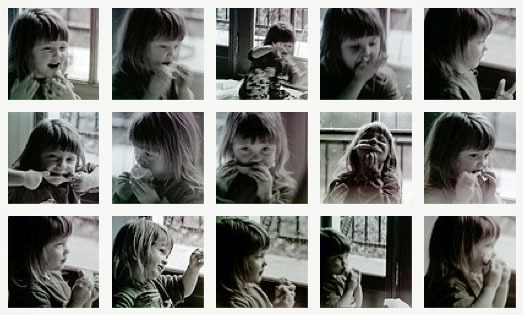 These images are from 1992 — ’93 at the latest — of my darling daughter Katie enjoying an orange at her grandma’s house in Sherman Oaks on a rainy day. A brief and marvelous moment in time, newly rediscovered thanks to the negative scanner I’ve long wanted and just got. This was the first random negative set I pulled from among the hundreds that have been hibernating in a file cabinet for almost as long as they’ve existed. The Flickr photoset of the above images are viewable here. This entry was posted on Thursday, December 2nd, 2010 at 1:53 pm and is filed under family, nostalgia, photography. You can follow any responses to this entry through the RSS 2.0 feed. Both comments and pings are currently closed.